Men age 17+ can sign up for Basketball or Ice Hockey. Inspired to play some basketball? Join us on Sundays from 6 -7:45 pm at the Fay School, and Wednesdays 7 – 9 pm at the Finn School. Newcomers are always welcome. Attendance need not be regular. We call our own fouls and shoot foul shots. We keep score in order to know when to stop for water. No basketball held if the schools are closed, or if the gyms are needed for school or town activities (such as voting). The first session is already in progress, but there are three more sessions starting November 18th. The cost is $60 per session. a non-competitive, no check, no slap shot game for all hockey enthusiasts. All skill levels are invited to play. Helmets are required. Register before your spot is taken, first come, first serve! The following are estimated dates based on St. Mark’s availability, an update will be emailed to all participants. Dates posted are tentative. Two options are listed for Sundays November 25th – February 17th – 7:00 pm and 8:00 pm. Each program costs $210 join. While “all skill levels” may be welcome – I’d imagine the ability to skate is key. If you never learned, you may want to put off the above option this year and sign up for the class below. Come learn to skate or enhance your skills in a comfortable learning environment! Gain strength and stay fit with skating lessons designed for adults. Whether your goal is just to skate, play hockey, or figure skate, this class will introduce basic skills to those with no prior knowledge and also help develop skills and proper technique for those with prior skating experience. 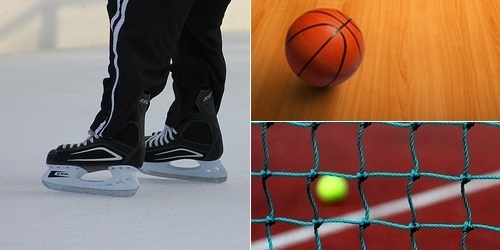 Skaters should arrive 15 minutes prior to class to lace up. Practice time will follow at the end of the lesson only for participants enrolled in the program. There are also out-of-town lesson options for beginner – intermediate tennis players aged 14+ Westboro Tennis & Swim Club. For more details or to register for any of these programs, click here.